In the insurance industry, it remains a challenge to attract young people as customers, employees and agents. Only 17% of college students are familiar with the financial services profession. But when a Millennial enters the profession, they’re fulfilled by the work and 80% say the experience is positive. When I’m out in the field recruiting agents, I spend a fair amount of time talking about “Cause!,” a book by Jackie and Kevin Freiberg. It highlights cause-driven companies that engage their employees and their customers and, ultimately, perform better. I’m always ready to make a pitch to my fellow Millennials about the value and rewards of this work. When trying to recruit agents. I don’t talk about product for 20 minutes or more. Instead, I focus on what we do in our industry, and of course, the purpose-driven mission of my company. The more I talk about working for a cause, the better reception I get. LIMRA found that 63% of professionals 33 and younger chose their career for the opportunity tp make a difference with clients. Barkley, an independent advertising agency, finds that more than 50% of Millennials make an effort to buy products from companies that support causes they care about. Carriers and agencies can start by highlighting a cause. How does a mission driven culture play out in the real world? Our company throws an annual music festival on the back lawn of our home office every summer and we invite nonprofits to come talk about what they do. We raised $30,000 for cancer patients this year. We sponsor LifeChanger of the Year, an educator recognition program, and award $10,000 to the grand prize winner. We pay for our employees to volunteer at nonprofits for 40 hour a year. What does your agency or employer do that inspires you and others in your organization? Does it have a cause? You don’t necessarily have to throw a party for 5,200 people on the back lawn. You can do something simpler, but just as meaningful. An agency in New York works with a local restaurant. Any time a cop comes in for a meal and shows his badge, dinner is free. The agency picks up the tab. An agency in Florida works with local schools to buy students belts. So many low-income kids come to school in hand-me-downs that don’t fit, so this small gesture makes a huge difference. As an industry, we have to do better at things like this. And, frankly, we ought to feel comfortable talking about it. We can and should tell our story without feeling like we’re just trying to pat ourselves on the back. It’s good for business. It’s good for society. And it’s sure to be good at grabbing the attention of people we want to recruit to the industry. Xan Rouselle, CFP, ChFC, CLU, is a Millennial and a key account representative for National Life Group. He can be reached at XRousselle@NationalLifeGroup.com. A survey by Monster reveals how employers can attract, retain, and engage Generation Z employees (born 1995 to 2015). Seth Matheson, Director of Talent Fusion by Monster said, “We’re seeing drastic differences between what drives employees in Gen Z compared to previous generations like Millennials.” Gen Z differs from the Millennials before by valuing benefits and security. Their top three must haves for their first job are health insurance (70%), a competitive salary (63%) and a boss they respect (61%). Gen Z people are the true digital natives, the first generation to have ubiquitous Internet technology at their fingertips since birth. Members of Gen Z will be attracted to careers that have purpose and pragmatism. And yet they’re more altruistic. Seventy-four percent of Gen Z says jobs should have a greater meaning than just bringing home the bacon, compared to 69% of those in older generations (and 70% of Millennials). 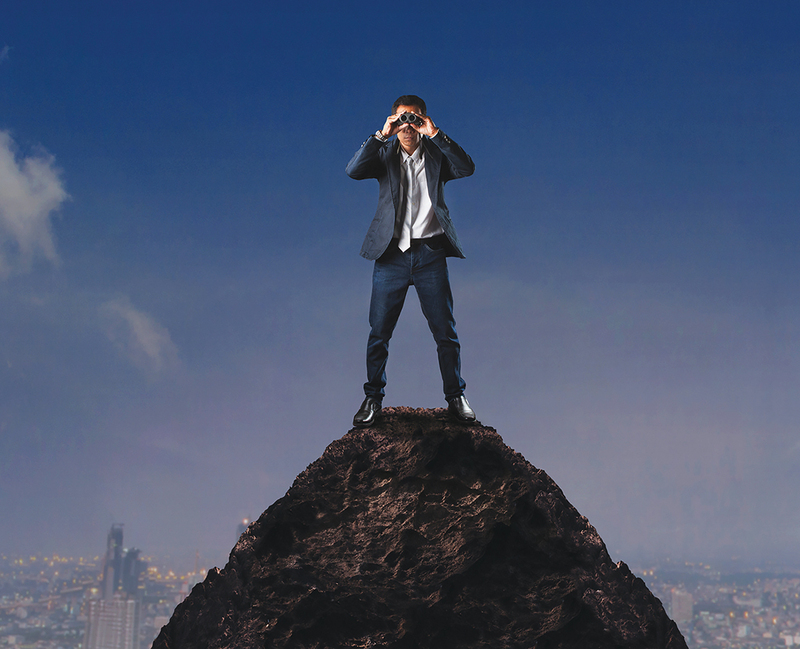 Seventy-six percent see themselves as driving their professional advancement. Forty-nine percent want their own business, compared to 32% across all working generations. Sixty-seven percent would relocate for a good job, and 58% would work nights and weekends for a better salary, compared to 41% across all working generations. Employers will need to focus on core values to keep these new workers inspired. This includes money/pay (70%), the ability to pursue their passion (46%), and the challenges/excitement of the job (39%). Keeping Gen Z engaged throughout the year – not just when their annual reviews roll around – will be key to employers’ success. One strategy is to have more regular check-ins between managers and employees. Gen Z people say that technology allows them to be more productive (57%) and mobile (45%). Furthermore, 39% see smart phones as essential and 37% rely on laptops, compared to 25% and 30% across all working generations. “The key to attracting and engaging Gen Z…will be a strong employer brand that is consistent across technologies. Organizational brands will need to be transparent, adaptable, personable, and memorable, targeting the brand’s ideal Gen Z employees through tools like social recruiting and talent CRM targeted emails,” said Matheson. For more information, visit monster.com/about. Employees who say that their workplace communication is open and honest are nearly 15 times more likely to be engaged than are other workers. Additionally, employees who are encouraged to share ideas and opinions are nearly 11 times more likely to be engaged. Baumruk said that employers need to offer value that sets them apart from hiring competitors. Even more importantly, employers must listen to their employees to foster a culture where expectations and desires are closely aligned with the employee’s employment experience. For more information, visit aon.com. The insurance industry now has the opportunity to carve out its place on the Internet in a highly secure, distinct environment. On June 15th, the new generic top-level domain (gTLD) dotInsurance opened to general applications from within the insurance industry. The dotInsurance domain name won’t be open to just anyone, however. 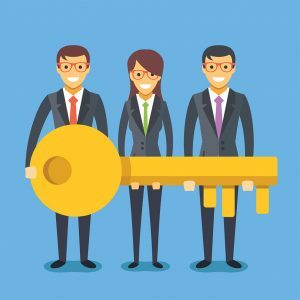 The new gTLD will require agencies carrying the domain to be compliant when it comes to requirements—such as licensing and renewal of licenses of agents and claims adjustors, continuing education, and customer disclosures. Levels of ongoing verification will continue to be in place long after the initial registration period. It also promises a secure environment, providing some levels of online industry screening that don’t necessarily exist today. Run by the registry fTLD—the same registry that manages dot Bank—the technical infrastructure of the new domain space can be expected to be one of the most secure in the world. 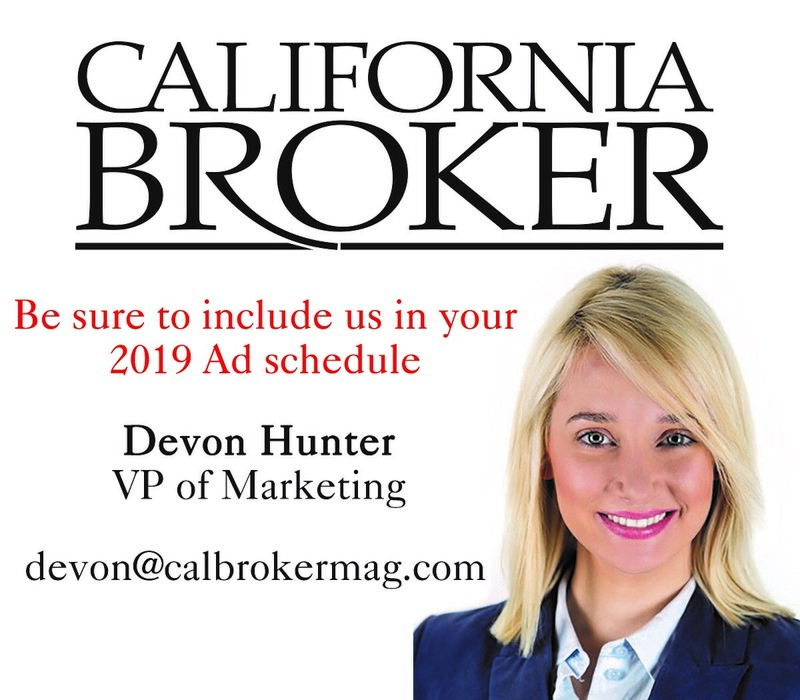 Applicants will undergo pre-vetting to ensure that they are legitimately tied to the insurance industry, whether as carriers, agents, actuaries, claims processors, adjustors, insurance exchanges, or comparison sites. The levels of pre-verification and authentication are understandably complex to ensure that only businesses genuinely involved in insurance are able to apply. Organizations will need to meet strict criteria to secure a dotInsurance domain—for instance, licensed insurance agents or brokers regulated by a government authority. It is expected that this rigorous screening will vastly cut down on illegitimate applications and online brand infringement. As the regulatory environment becomes increasingly complex, it makes sense that dotInsurance should be seen as a layer of online protection. Also, as branded gTLDs operated by companies in the insurance sector—such as Aetna, Allstate and Guardian—start to gain attention, the new dotInsurance TLD might also act as an alternative for those companies that did not apply for branded suffixes in this latest round. Registering in the dotInsurance TLD space is significantly cheaper than going the dot brand way, as well. It’s a chance for insurance firms of all sizes and branches of specialty to register the most relevant domain names available. This includes companies that missed out on registering in the dot com web space. This should be attractive to brands and their digital agencies. Consumer awareness is one of the biggest challenges of the new gTLD program on the Internet. We live in a time when we are all being told to be vigilant when going online, so it’s possible that the introduction of a new top-level domain could cause confusion for consumers without any additional education on the benefits of using it. It will be up to the insurance industry to bring awareness of dotInsurance and its benefits to their customers. And with the security attributes of the new domain name, the gTLD may add to greater credibility and consumer trust. Stuart Fuller is director of Commercial Operations and Communications at NetNames, a global online brand protection firm. He can be reached at Stuart.Fuller@NetNames.com. At one time, people dreamed of retiring in their 40s and 50s, living off their 401(k), and spending their days on a Southern California golf course. But that dream imploded when retirement plans and savings accounts became collateral damage in the crumbling housing market of 2008. Unemployment skyrocketed. Even those with jobs felt like they were walking on thin ice. Since that time, employees have been distracted, worrying about how to pay their mortgage and their credit card payments and whether they have to work until 75 or 80. An alarming number of Americans have no retirement savings, according to a survey conducted for Bankrate.com: 14% of these non-savers are 65 and older; 26% are 50 to 64; 33% are 30 to 49; and 69% are 18 to 29. Also, seventy-two percent of Americans have been stressed about money at least some of the time during the past month, according to a 2014 survey by the American Psychological Assn. According to an Aon Hewitt survey, a worker’s financial situation is the most commonly cited stress factor on the job. Fifty-one percent of workers say that stress makes them less productive. Employees who are worrying about their finances can’t give their full attention to their work, which sets the stage for workplace injuries and higher Workers’ Compensation costs. An employee shouldn’t be distracted with credit card bills when he’s running timber through a buzz saw. In the wake of the recession, many employers have come to realize that financial distress reduces productivity, increases absenteeism, and threatens employees’ health. No longer can an employer hold the line by saying, “It’s not my problem if my employee ran up his credit cards.” “It’s not my concern that my employee is struggling to make a mortgage payment because his wife lost her job.” A worker’s problems are the employer’s problems because it affects the company. Over the years, the only wellness numbers that employers cared about were things like weight and blood pressure readings. Now employers need to be just as concerned about the numbers in their workers’ checkbooks, IRA statements, and in the invoice that just showed up in the mail from UCLA. So maybe it is not enough to offer smoking cessation plans, gym memberships, afternoon stretch time, and celery sticks instead of donuts. Companies have a vested interest in promoting financial wellness initiatives. Workplace financial education programs can have a high pay off for employers, with some estimates offering up to a three to one return-on-investment. Employers need programs that address financial uncertainty. This can be accomplished by as little as holding a seminar in the break room on handling debt, to investing in an onsite psychologist or, at the very least, an on-site financial wellness coach. It’s waste of time to just hand your employee a URL, user name, and password to set up their own plan because nobody has that much free time after work. The focus of a financial wellness program can be on retirement accounts, income tax planning, estate planning, debt analysis, and Social Security & Medicare strategies, among others. There is no one-size-fits all approach since people have different levels of financial stress. The idea of retiring comfortably before your 70th birthday is at the top of your bucket list for a Baby Boomer, so they want to work for a company with a strong retirement plan. If you’re a Gen X baby, it’s all about how much little Sarah, cooing away in her bassinet, is going to have to pony up for Stanford in about 18 years, so a company’s payroll savings plan is key. And if you’re a Millennium baby, your biggest concern might only be which new app to download on your SmartPhone. But this group can’t be ignored because even they may want to retire someday or send their child to USC. Some employees may seem uninterested in a financial wellness plan, but just because people don’t get on board immediately doesn’t mean they won’t. And trust me, there will always be a need. A major life event can bring its importance to the forefront, such as a wedding, the death of a parent, or a road trip to visit colleges. However, it’s no use getting someone to feel good about their 401k when they are 100 pounds overweight and have a heart-attack in-waiting every time they climb stairs. It’s important to stress the need for a two-prong attack—hearts and minds. Employers need to help workers become more physically and financially healthy. Employers will only begin to reap the rewards by giving their workers financial peace of mind and the tools to keep their body in shape. 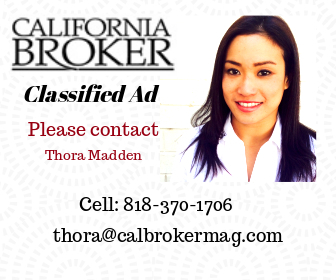 Toni Shibayama is a broker/risk consultant for S&K Insurance in Southern California. She has more than 15 years experience in risk management, job safety, Workers’ Compensation, wellness and HR consulting. She can be reached at toni@sk-insurance.com and by phone at 213-627-5304. Fewer than one-third of women say they need very little advice when investing, compared to nearly half of men, according to a study by Cerulli. “This data can help providers tailor products and services to the evolving needs of women investors, especially as women play more prominent roles in the financial planning process,” says Shaun Quirk, senior analyst at Cerulli. Almost 60% of male investors say they want to be involved in the day-to-day management of their portfolio, compared to just 42% of women. Some industry professionals say that women are more likely to implement long-term, goal-oriented investment strategies that don’t require day-to-day trading. With this in mind, providers can offer planning tools and holistic wealth management solutions that align with their women clients’ views on portfolio management, Quirk says. Is an Obamacare Death Spiral on the Horizon? According to the Goodman Institute, Princeton University health economist, Uwe Reinhardt, is generally viewed as a friend and supporter of the Obama administration’s efforts to reform the health care system. But now he tells Vox.com that the health insurance exchanges have entered a death spiral and are heading toward total collapse. That is the same assessment Obamacare critic John Goodman renders in an editorial at Forbes. Obamacare is experiencing two kinds of death spirals: the upward spiral of price and the downward spiral of quality, he says. Goodman, who heads the Goodman Institute for Public Policy Research in Dallas, says a death spiral exists if there is no premium the insurer can charge that will allow it to cover its costs. If it is experiencing losses, it may try to recover by raising the premium. But eventually there will be no one left in the pool other than the costliest enrollees — who cannot possibly pay the premiums needed to cover the cost of their care. The insurer can avoid this painful process by cutting its losses and leaving the market early on. A study by Avalere predicts that next year more than one-third of the exchanges will have only one insurer left. More than half the exchanges will have no more than two. We were promised competition; what we are getting instead is monopoly, he said. Health economists point to a problem on the demand side of the market: too many people are waiting on the sidelines while they are healthy and signing up for insurance only after they get sick. Reinhardt says that Switzerland and Germany have similar systems, relying on competition among private insurers. But the Swiss and the Germans brutally enforce the mandate. They make young people sign up and pay. We are too chicken to do that, he says and adds, “We give them a mandate penalty that is lower than the premium. And we tell them, if you’re really sick, we’ll take care of you anyhow. Goodman says an even bigger source of trouble is on the supply side. Health plans are being allowed to dump their sickest, most costly enrollees on their rivals with impunity. As a result, insurers face perverse incentives to attract the healthy and avoid the sick. Goodman helped draft a proposal by Rep. Pete Sessions (R-TX) and Sen. Bill Cassidy (R-LA) that would deter people from gaming the system in a manner similar to what is done in Medicare Part B and Part D. Anyone who does not sign up when first eligible would face financial penalties in the form of higher premiums. The bill would also insure that health plans always receive actuarially fair premiums. So if a new enrollee has expected costs of, say, $100,000 the plan would get $100,000 in premiums. The enrollee would pay a community rated premium – just like everybody else. The balance would be paid by the previous insurer. For more information visit the goodmaninstitute.org. The Affordable Care Act (ACA) has substantially decreased the number of uninsured Americans and improved access to health care. But there are still disparities in health care affordability and access, according to a report by the Univ. of Miami and the Florida Atlantic Univ. Also, changes brought on by the ACA affect state and federal budgets. In the first five years of the ACA, 11.7 million people purchased new plans from the marketplace; 10.8 million more now have Medicaid coverage; and 3 million young adults are on their parents’ policies. 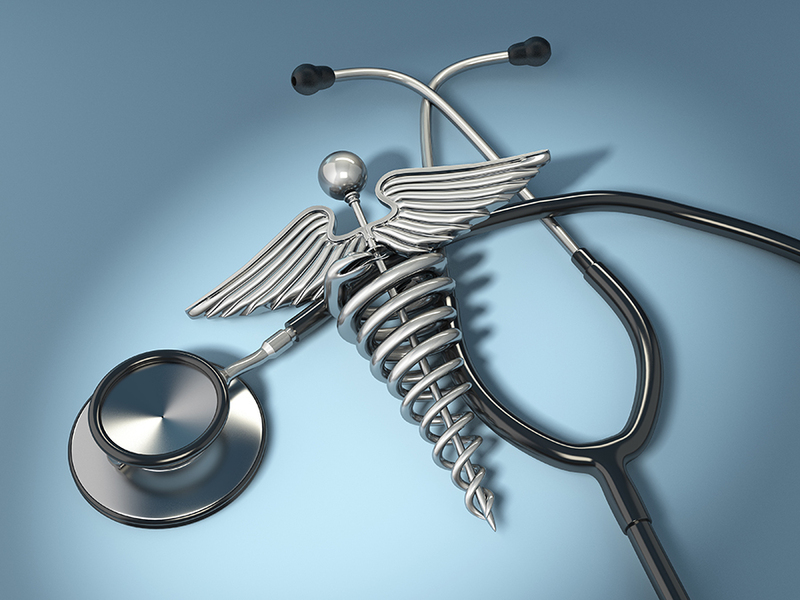 Expanded coverage has led to better access to physicians. The number of people without a regular source of care decreased from 29.8% in 2013 to 26% in 2014. But almost 40% have still had at least one access problem. One million to 3 million uninsured young adults gained coverage under the ACA. The gains in coverage are especially pronounced for men, singles, and non-students. Most studies report that gains in insurance coverage are associated with better access to health care for young adults, especially among men and college graduates. The amount of uncompensated care for young adults decreased as more health care is being covered by private insurance. Disparities in health care access persist for different racial/ethnic and income groups. The uninsured are more likely to be young, low-income, and Hispanic. Forty-three percent of all individually purchased plans in 2014 where purchased in the marketplace. Eighty-five percent of those who enrolled in marketplace plans qualified for tax credits. In 2014, tax credits reduced marketplace premiums by an average of 76%. However, as incomes rise and subsidies decline, premiums may increase sharply, making it increasingly difficult for those at the subsidy threshold to afford health insurance. Due to the ACA’s family glitch, 2 million to 4 million low- to moderate-income people may be denied financial assistance. The family glitch happens when a low-income employee can’t afford family coverage through their employer and doesn’t qualify for subsidies through the exchanges. As the ACA matures, carrier participation in the marketplace may increase. Ten percent of the incumbent insurers in 2012 participated in the marketplace in 2014. Twenty-five percent more insurance companies joined the marketplace in 2015 than in 2014. In 2014, almost all state exchanges had multiple issuers; most included a mix of large and small companies; and more populous states usually had a wider selection of plans. An estimated 3.7 million adults in non-expansion states are in the coverage gap, with low-income blacks disproportionately affected. This means that they earn too much to qualify for Medicaid, but not enough to be eligible for premium tax credits in the marketplace. Studies present evidence that expanding Medicaid is financially prudent for most states. Federal contributions cover all expansion costs during the first three years, which will benefit providers and generate economic activity. State budgets may be more strained later on when they are required to fund more of the expansion. Even so, decreases in uncompensated care are expected to offset some of spending increases associated with Medicaid expansion. The federal government is likely to end up financing a larger proportion of health care than before the ACA due to its major role in Medicaid expansion and the establishment of health insurance exchanges. The Congressional Budget Office (CBO) estimates that federal deficits will grow by $137 billion from 2016 to 2025 if the ACA were repealed. For a full copy of the study, visit http://onlinelibrary.wiley.com/doi/10.1111/1475-6773.12511/full. Employers expect total health care costs (employer and employee) to increase 5% in 2016 and 2017, up from 4% in 2015, according to a survey by Willis Towers Watson. Employers expect average employee per-year costs to rise to $12,338 in 2016 and nearly $13,000 in 2017. Despite these cost pressures, 81% of employers will make relatively modest changes to employee premium contributions and other cost-sharing provisions, such as deductibles and out-of-pocket limits for 2017. Ensuring appropriate utilization: 61% of employers have added programs to ensure appropriate use of high-cost drugs, up from 53% in 2015; 85% are considering doing so by 2018. Addressing specialty pharmacy spending that occurs through the medical benefit plan: 39% of employers have adopted this strategy, up from 26% in 2015; 82% will consider it by 2018. Differentiating benefit coverage to influence site of care: 19% of employers have made such changes; another 43% are considering them for 2018. Twenty-eight percent of employers have already reduced spousal subsidies by adding surcharges for coverage when it is available through a spouse’s own employer. The percentage of employers adding a working spouse surcharge is expected to nearly double by 2018. The average surcharge is now about $100 per month in addition to required premium contributions. Increase enrollment in high-deductible health plans with tax-advantaged savings accounts, with more employers moving to full replacement. Forty-nine of employers that offer an account-based plan expect it to be the only choice available to employees by 2018. Offer incentives to encourage the use of centers of excellence that have proven quality outcomes for treating back, knee, cardiac, and infertility issues. Move to benefit designs that require employees to participate in health-related activities to reduce employee cost-sharing. “Although cost management is always a focus, over the next 12 months employers will also be seeking to modernize their benefit offerings to appeal to a multi-generational workforce, The 2017 open enrollment period will begin to showcase some of the changes, including expanded choice of core medical and voluntary benefits; greater use of technology for decision support; and an enhanced, consumer-style benefit shopping experience,” said Trevis Parson, chief Health and Benefits actuary for Willis Towers Watson. For more information, visit willistowerswatson.com. There was a 50% increase in the median in-network deductible on an employer-sponsored PPO health plan (from $1,000 to $1,500 in 2016), according to a study by United Benefit Advisors (UBA). Yet employer costs remain steady. Despite these significant deductible increases, nearly half of employees enroll in PPO plans. Average health plan costs for employers actually decreased slightly, from $9,736 in 2015 to $9,727 in 2016. At the same time, the employees’ share has increased as they continue to accept lower coverage levels. Of the $9,727, employees contributed an average of $3,378 and employers contributed on average $6,350, whereas in 2015, employers paid $6,403 of the $9,736 average cost while employees paid $3,333. For all types of plans, total monthly premiums remained flat at $509 for a single employee. However, employers shifted costs to employees in other ways. Median out-of-network deductibles jumped 13.3% from $3,000 to $3,400 this year and median ER copays jumped 20% from $250 to $300. The employees’ share of monthly premiums increased only 2.6%s from $140 in 2015 to $144. Family portions increased 2.2% from $540 in 2015 to $552 in 2016. Families are bearing the brunt of the cost of health insurance. For an employee electing single coverage, the employer covers 71% of the monthly premium, and only 54% of a family premium. The deductible increases are mostly due to two factors: First, by raising the deductible $500, you avoid a premium increase of roughly 3% to 6%. Second, insurance carriers are being forced to comply with metal levels (Platinum, Gold, Silver, Bronze) in the Affordable Care Act (ACA) small group market. “As long as insurance carriers are required to meet the ACA metal levels, we can expect to see plan changes in this same direction,” said Carol Taylor, Director of Compliance & Health Plan Collaborative with D&S Agency, a UBA Partner Firm based in Roanoke, Va. said, For more information, visit UBAbenefits.com. Are PBMs Limiting Access to Care? The nation’s pharmacy benefit managers (PBMs) have begun a disturbing trend of limiting patient access to outpatient medications from their dispensing physicians. This is despite strong data showing positive patient outcomes from physician dispensing, according to a white paper from the Community Oncology Alliance (COA). According to COA, PBMs are boosting their profits by declaring all physician dispensing to be out-of-network. “PBMs are playing a dangerous game with patient care in order to capture revenue in the growing specialty drug market,” according to COA. Since 2011, PBMs have consolidated into just five major corporations that control 80% of the covered lives in the United States. Limitations proposed by CVS Caremark would disrupt the care of tens of millions of patients. “Patients taking many of the newest and most-effective oral cancer drugs require careful monitoring by their physicians and pharmacists. Community oncology practices have added in-office dispensing to provide that timely treatment and maintain critical monitoring and care management. Other pharmacy models don’t have access to important medical records nor a face-to-face relationship with the patients. No PBM can provide the level of care cancer patients require. CVS Caremark, or any other PBMs considering similar action, will make more money, but patients will suffer because of it,” said Josh Cox, Pharm.D., BCPS, Community Oncology Pharmacy Association (COPA) co-chair and director of pharmacy at Dayton Physicians Network, Dayton, Ohio. CVS Caremark is the only PBM that has stated its intention to restrict patient access to physician dispensing. Earlier this month COA submitted an appeal to CVS Caremark to delay or cancel their proposed action. The appeal stated that if CVS Caremark does not reverse its position, or the January 1, 2017, implementation date is not postponed, COA, would have no choice but to take affirmative action to prevent CVS Caremark from implementing the change. For more information, visit CommunityOncology.org. Many Americans realize they need long-term care insurance, but balk at the premiums. Now there’s an easy way to pay, says Denise Gott, CEO of ACSIA Partners. Just use some of the money that’s already in your Health Savings Account. Millions of Americans have such accounts, and millions more may open them. To be eligible, you must first have a high-deductible health plan (HDHP). Health Savings Accounts (HSAs) are tax-advantaged savings accounts designed for HDHP policyholders. HSAs are restricted to health-related purposes. With some limitations, funds may be withdrawn tax-free to pay for deductibles, co-insurance, dental and vision care, and other items. These other items include long-term care and premiums for long-term care insurance. There are two key advantages. The first is paying for LTC premiums with pre-tax dollars (within limits based on age). The second is convenience: tapping funds one has already set aside. “It’s a shame so few people know about this,. We’re spreading the word through our business partners and to the public directly,” says Gott. HSAs have proved popular since their introduction in 2004. Within two years there were 3 million accounts, and by mid-2016 there were more than 18 million, according to a report from Devenir. Double-digit growth is projected for 2017, 2018, and beyond. “In the years ahead, HSAs promise to be an increasingly important tool for the health and wellbeing of our longer-living population,” says Gott. Most Americans can participate if they have or if they get an HDHP. However, those already covered by government health benefits — through Medicare or Medicaid, for example – are generally not eligible. You can open an HSA with a bank, credit union, insurance company, or other approved organization. Employers may also set up plans for their employees. For more information, visit acsiapartners.com. Perspective Partners, LLC launched NestUp Managed Deferrals, which educates employees, offers personalized 401(k) and HSA deferral recommendations, and implements choices with just two clicks. When appropriate, NestUp also recommends directing HSA deferrals to retirement-oriented investments and lets employees opt for an HSA investment based on their 401(k) QDIA. “The significant tax advantages HSAs have over 401(k)s means they can have a big impact on long-term retirement savings,” says David Snyder, CEO of Perspective Partners. NestUp takes an integrated approach that optimizes employer matching and tax benefits. By helping employees save for near-term out of pocket costs, it can lead to greater acceptance of high deductible health plans. Perspective Partners works with employers, record keepers, retirement plan advisors, benefit brokers and such partners as HSA administrators, benefit technology companies, payroll companies, and insurance exchanges. Importantly, NestUp can be used with any 401(k) or HSA provider. For more information, visit ManagedDeferrals.com, or contact Laura Benotti at laura@perspectivepartners.com.